The folks at NBC News/Wall Street Journal polled 1,000 adults about their overall perception of social media in America. The results of the poll showed that a majority of Americans are not big fans of social media in general and have deep disdain towards powerhouse players Facebook and Twitter. 82 percent say social media sites do more to waste people’s time. Six in 10 Americans say they don’t trust Facebook at all to protect their personal information. 57 percent of Americans say they agree with the statement that social media sites like Facebook and Twitter do more to divide the country. 55 percent believe social media does more to spread lies and falsehoods. 61 percent think social media does more to spread unfair attacks and rumors against public figures and corporations. Overall, 36 percent of adults view Facebook positively, while 33 percent see it negatively. And Twitter’s rating is 24 percent positive, 27 percent negative. See the complete NBC News/Wall Street Journal Poll results here. We’d really like to see what our Ennect users and The Emarketing Blog readers think about the current state of social media in U.S. We ask that you please participate in our quick Ennect online survey below and let us know how you feel. We will publish the results and comments in an upcoming blog post. To learn more about Ennect’s easy-to-use, do-it-yourself online survey app, please visit Ennect.com. The anticipation for that concert event of the year is growing and the excitement about attending a celebrity fitness expo in L.A. is at a crescendo, so the last thing that event-goers need is an event registration road block to hamper happiness. Event and tour professionals should remember that a person’s journey begins with event registration and it should be as easy as possible for them to sign up for event bliss. Learn more about how Ennect online marketing software can provide a smooth ride from event registration to event day. August 25 – September 2, in the Black Rock Desert of Nevada. The 2019 NCAA Basketball tournament is a perfect opportunity for groups to get in on the “Madness” by using an online sweepstakes app to build brand excitement, fund-raise, create sales leads and grow contact lists. The Ennect Online Sweepstakes app is an inexpensive, easy-to-use marketing tool that should be a starting player on all sales and customer service teams. Create Your Own 2019 March Madness Sweepstakes Challenge! Ennect provides a hybrid sweepstakes and survey tool that can be used to create a one-of-a-kind online March Madness experience. Participants can prove their NCAA basketball mettle by entering the teams they think will win each round for a chance to win prizes and recognition. Sweepstakes owners can also conduct random drawings after each round of the tournament or whenever they like to enhance excitement and overall chances of winning. Check out ncaa.com for a full schedule of 2019 tournament basketball games. Learn more about how people are using Ennect Online Sweepstakes for research, fundraisers and many other events. Happy 30th Birthday World Wide Web! Thanks to software engineer Tim Berners-Lee, 30 years ago this week the idea for world wide web was hatched. As a birthday gift to our readers we thought it would be cool to search the world wide web and see how the world is celebrating and what they are saying about this great tech milestone. Enjoy! In March 1989, while working at CERN, Sir Tim Berners-Lee wrote his first proposal for an internet-based hypertext system to link and access information across different computers. In November 1990, this “web of information nodes in which the user can browse at will” was formalised as a proposal, “WorldWideWeb: Proposal for a HyperText Project”, by Berners-Lee, together with a CERN colleague, Robert Cailliau. By Christmas that year, Berners-Lee had implemented key components, namely html, http and URL, and created the first Web server, browser and editor (WorldWideWeb). Google Doodle celebrates 30th birthday of the World Wide Web (CNET)|The web giant pays homage to the invention that made the company possible. New Zealand website Stuff has written that yhe inventor of the World Wide Web knows his revolutionary innovation is coming of age, and doesn’t always like what he sees: state- sponsored hacking, online harassment, hate speech and misinformation among the ills of its “digital adolescence”. Those are the now-classic handwritten words that appear on a document, dated March 1989, entitled “Information management: a proposal”. The document was composed by Tim Berners-Lee, who was then a little-known British physicist working as a computer scientist at the CERN particle-physics lab near Geneva. Again, Happy 3oth Birthday to the world wide web and the world thanks you Tim! Here is the official Google announcement and a few important points of information for Google Plus users. On April 2nd, your Google+ account and any Google+ pages you created will be shut down and we will begin deleting content from consumer Google+ accounts. February 4th, no new Google+ profiles, pages, communities or events can be created. If you’re a Google+ Community owner or moderator, you may download and save your data for your Google+ Community. If you’ve used Google+ for comments on your own or other sites, this feature will be removed from Blogger by February 4th and other sites by March 7th. If you’re a G Suite customer, Google+ for your G Suite account should remain active. Here are some top tech industry articles to give some in depth analysis and information on why and what the closure of Google Plus means to all of us. Are you social media safe? My Goodness, Look at How Your Social Media Has Grown! 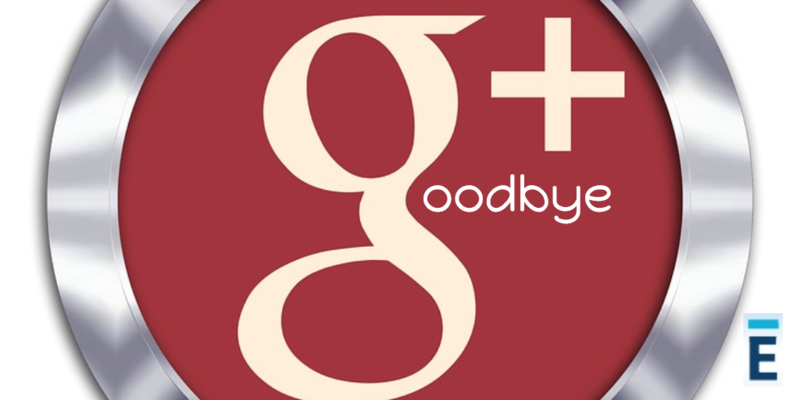 Goodbye Google+… Thanks for the digital memories. Happy New Year! It’s that time of year again to celebrate and enjoy the tradition of “Top 10’s” and “Best of Lists” that are currently making media headlines. In keeping with media tradition, we would like to present the Top Ten Emarketing Blog Posts of 2018! 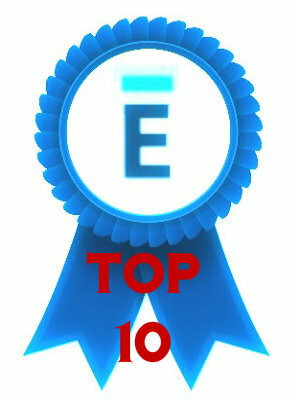 The top 10 list is based on the overall blog traffic of our readers and social media engagement and shares. So here we go, The Top Emarketing Blog Posts of 2018! Here is another round of social media updates and tech industry news for the online event management community and do-it-yourself online event registration software users. Welcome to the late summer edition of The Emarketing Blog’s Digital Marketing Trends and Social Media Disruptions digest. 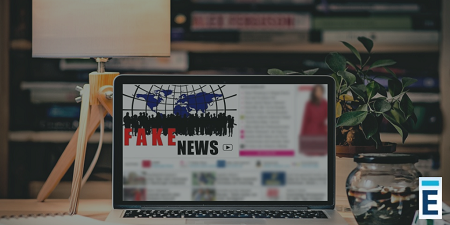 Here’s a collection of interesting tech news, digital marketing trends, social media happenings and fake news, censorship and free-speech issues that are buzzing across the global wires. St. Patrick’s Day will soon be here, have you started your event planning yet? 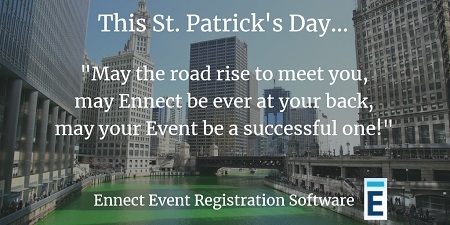 Let Ennect Event help you turn this year’s St. Patrick’s Day festival into a pot of gold. Twitter has begun implementing bold steps to secure and increase its overall legitimate global user count and to also stem the tide of fake profiles. 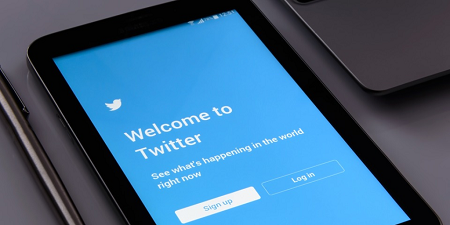 The New York Times recently reported that Twitter has begun to purge tens of millions suspicious accounts from users’ followers which could result in a minimal to a very significant follower drop globally. 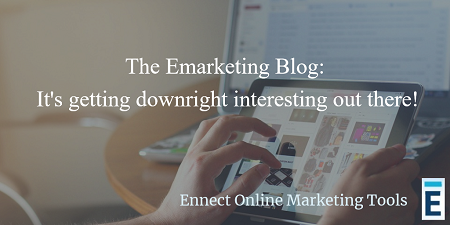 The Emarketing blog likes to keep its antennas pointed skyward for any interesting tech news, digital marketing trends and social media disruptions that are buzzing across the wires and with the latest wave of Facebook, Twitter and Instagram happenings there is no shortage of news. 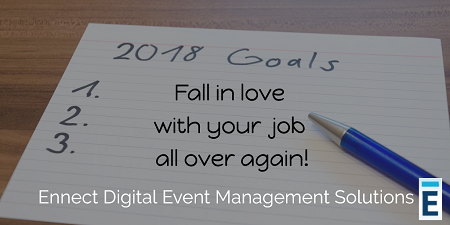 As an event professional, you should propose a New Year’s resolution to make your job easier by utilizing online event registration and management tools. 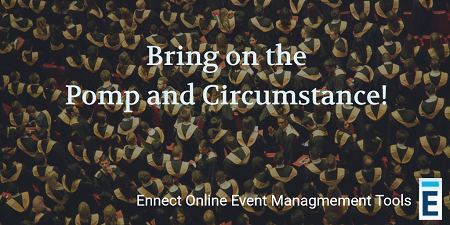 This graduation season, event planners should utilize Ennect Event, a multi-use online event management tool to take their graduation “Pomp and Circumstance” to another level. 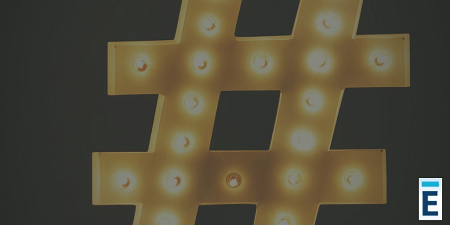 Over the past few years, we’ve crafted several informative blogs that have focused on the interdependence of hashtags and social media in hopes of helping our readers with their daily digital marketing. One of Ennect’s partner organizations is Pittsburgh.net, which happens to be one of Pittsburgh’s largest online event directories and during a recent chat with the Pittsburgh.net team, they noted an upward trend in event postings and believed that this year’s Pittsburgh conference, trade show and seminar season was going to be epic. Thank you for visiting The Emarketing blog in 2018 and keep clicking through in 2019. Read the 2017 Top Blog list, 2016 Top Blog list and 2015 Top Blog list and learn how Ennect do-it-yourself marketing software can help achieve your 2019 marketing goals. A Digital Verse of Holiday Eco-Friendly Cheer! Welcome to the annual Ennect eco-friendly, paperless, zero waste, sustainable, green holiday blog post. Every year about this time we like to offer our readers a few ideas on how to green-up their offices and homes this holiday season. With the holidays upon us and end-of-the-year wrap-ups and initial strategic planning for the new year in full swing, we think that Ennect online do-it-yourself marketing apps and tools are the perfect holiday gifts for small businesses. This year spread digital marketing holiday cheer with Ennect’s suite of paperless solutions for digital business holiday email blasts, end of the year online customer or employee surveys, web-based company holiday event registrations and exciting online holiday sweepstakes. Your employees will love Ennect’s time saving features especially automated email list management and do-it-yourself email campaigns. EnnectMail will help them expedite those company holiday greetings early this year – meaning they finally make it to the company holiday party on time for once! Way to go Santa Boss! And a happy New Year! Holiday emails obviously save paper and postage and a single email blast from Ennect can easily blanket all of your clients, staff and partners in sincere seasons greetings. Don’t have time to create a holiday email? Contact Ennect and we can design a festive holiday greeting and send it for you. And if you do use paper greetings try and reuse the cards as next year’s gift tags or place-setting cards. Wrapping paper is difficult to recycle because of its high-clay and low-paper content. Instead, get creative and choose reused/reusable alternatives like comics, posters, maps, blueprints, or calendars (all recyclable), fabric, reusable paper or cloth gift bags, bandannas, etc. For shipping, replace foam or bubble wrap with balled up newspaper or magazine pages. Give experiences in the form of gift cards to museums, parks, or the movies. Give something edible; make a dessert or a healthy snack packaged in reusable mason jars. Give products that will help your friends and family go green, such as mugs, or reusable lunch containers. Read past Emarketing holiday blogs below for tips and tricks for a greener winter celebration and learn more about going paperless with Ennect online marketing software, apps and tools. How’s the company holiday email campaign looking? What! You haven’t started it yet? Well, you still have a few weeks until Thanksgiving and the kickoff of holiday madness known as Black Friday. We recommend you don’t wait too much longer to draft your client holiday email message. If you need assistance in a pinch with holiday email templates, list management or overall email campaign management then click on over to Ennect and you will find electronic holiday messaging bliss waiting for you… also known as full-service holiday email marketing software. In the spirit of the season we would like to share some holiday-esque reasons to use Ennect do-it-yourself online marketing software for your holiday email marketing and communication needs. First off – Spread holiday cheer all over. Ensure your marketing employees can make it to the holiday party this year by giving them the gift of automated email list management and do-it-yourself email campaigns. If they are combing over spreadsheets and printing mailing labels, they’ll certainly miss the holiday wassailing. And that’s not nice! Digital delivers. Digital greetings can be accessed anytime as 66 percent of all email in the US is now opened on smartphones or tablets and 34 percent on desktop. With holiday vacations and office closings, your paper greeting card might not be seen until after the New Year when everyone heads back from holiday. Christmas Tree Friendly. Be forest friendly, go digital. Each year approximately 1.5 billion paper cards are sent over the holiday season in the U.S., which requires 300,000 new trees to be harvested per year. Show Seasonal Goodwill. 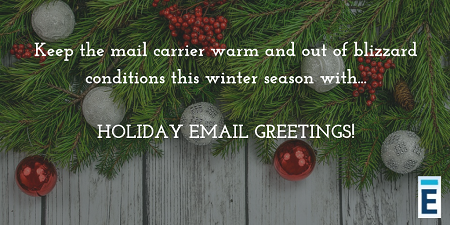 Keep the mail carrier warm and out of blizzard temperatures this season by sending digital holiday greetings. And this year – Don’t Scrooge on the Digital Cheer this Holiday Season! Online surveys are extremely useful digital marketing tools that can easily help you mine and collect data from specific target audiences. Simply create an online survey with Ennect digital marketing software, then email the link invitation to your segmented email list and sit back and watch the results come pinging in. With Ennect, it’s that easy! Create a survey, upload your list, and hit send. See real-time results whenever you want. Get rich, visual reports ready for presentation. So with Halloween right around the corner, we thought it would be really cool to see what some online surveys, digital questionnaires and prominent websites have conjured up as their Top Halloween Picks of 2018. 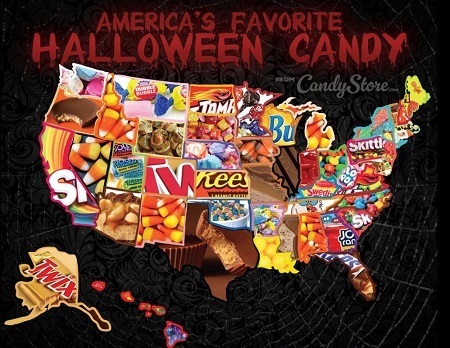 Check out this interactive map of The Most Popular Halloween Candy in all 50 states. “Ghostbusters” Theme — Ray Parker Jr. So, if you really want to find out what people are thinking – beyond Halloween – easily ask them with an Ennect Online Survey. Also be sure to check out web based do-it-yourself event management software Ennect Event for assistance with online holiday event planning, digital business event management and higher education enrollment events. To help get you into that trick-or-treat state-of-mind, check out these Halloween and fall festival related blog posts and don’t forget to take the Ennect Halloween Candy Survey as well. Wickedly Good Event Management Tips for Halloween and The Fall Festival Season. Here we go again, summer is in the rear-view mirror and fall is fast approaching and you know what that means – a haunting of online ads from the local Halloween shop, a hint of pumpkin spice in our coffee, extravagant costume parties and fall celebrations. 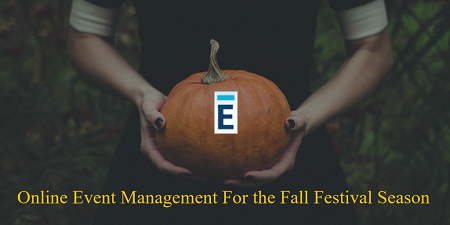 This autumn, if you are planning your groups Halloween party, hayride to the pumpkin patch or harvest celebration, be sure to try Ennect’s do-it-yourself online event management and registration app for a wickedly good event planning experience. To help get you into that corn maze state-of-mind, we’ve selected these informative Halloween and fall festival related blog posts to assist you in your event planning and don’t forget to take the Ennect Halloween Candy Survey as well. Enjoy.